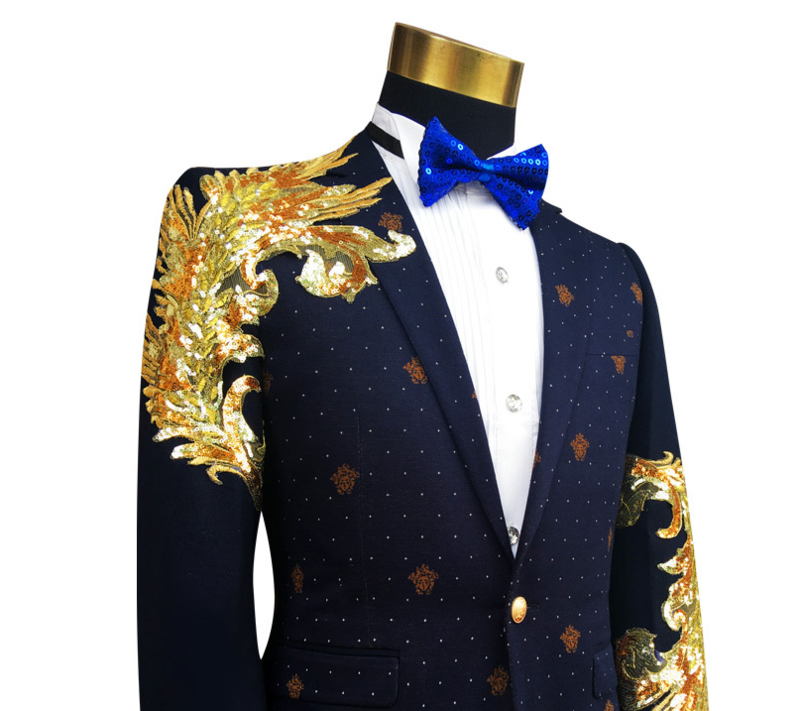 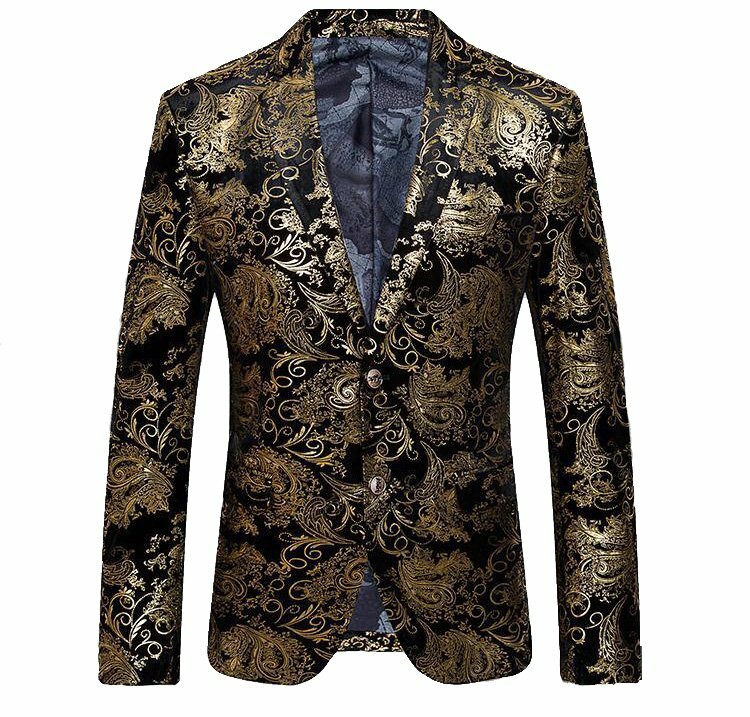 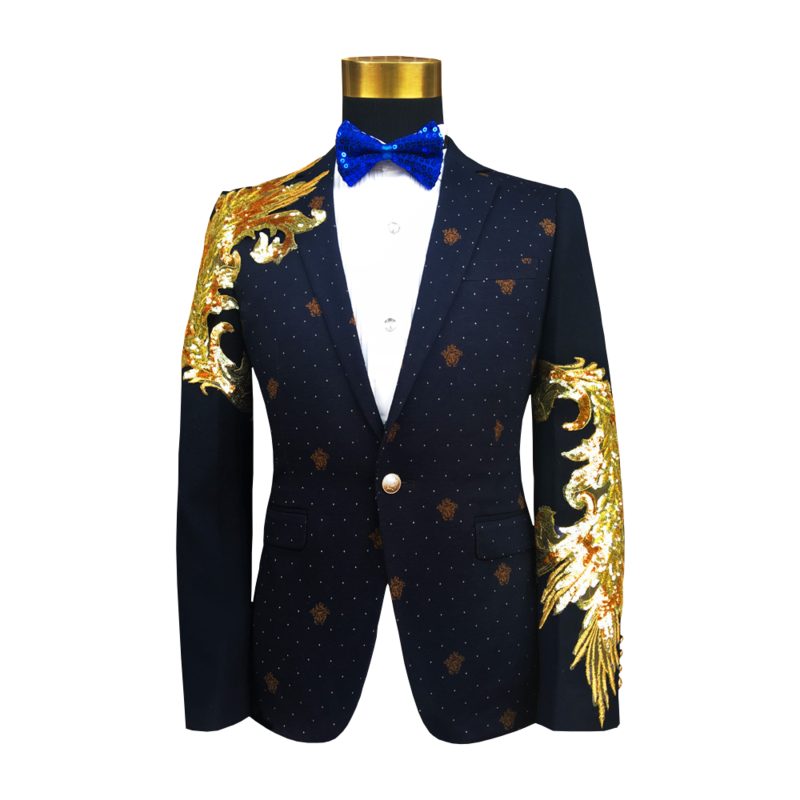 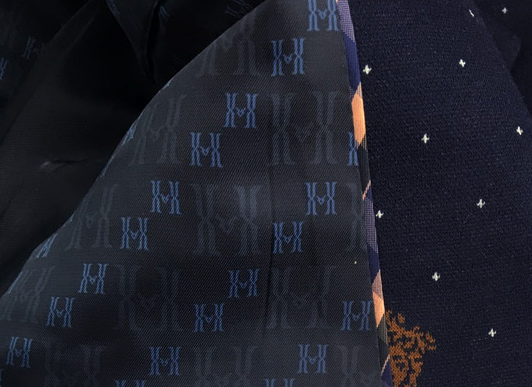 The gold arm of this luxury blazer makes this navy blue stunning pickup one thats certainly a must. 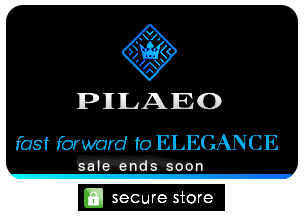 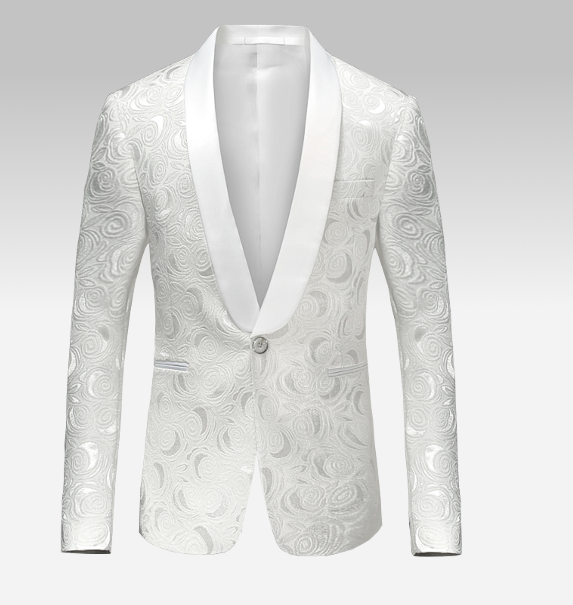 The single buttoned design, and emphasis on the structure ensures that your outfit is ahead of style. 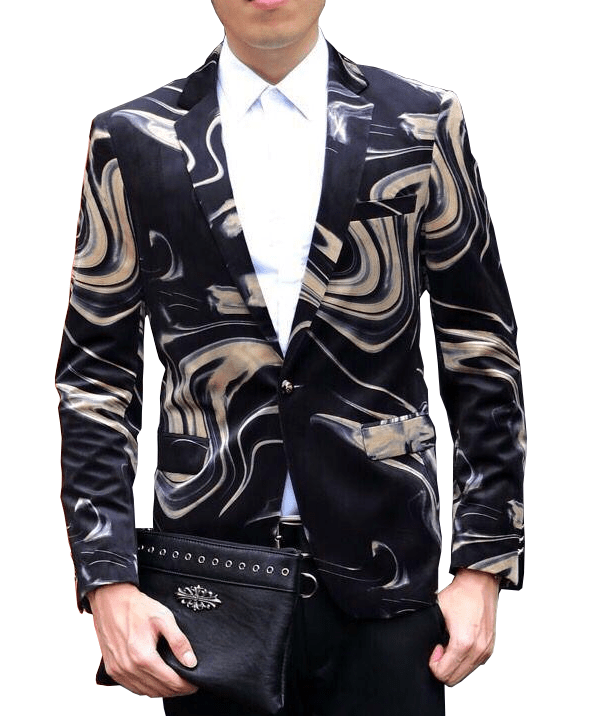 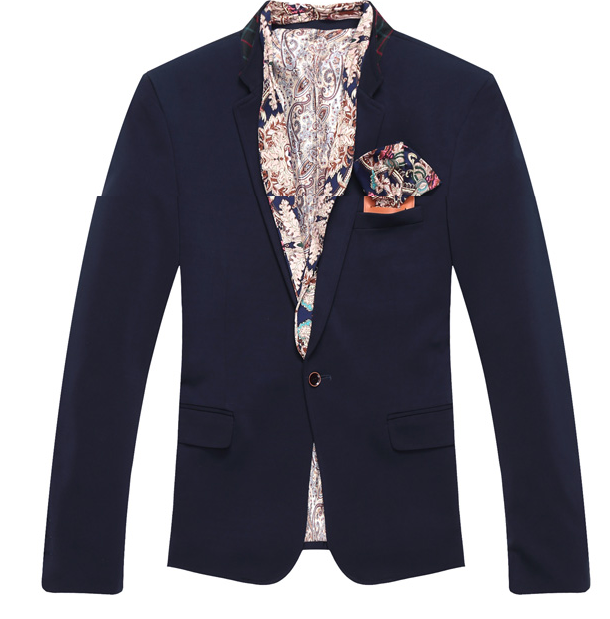 Set an example for how modern style for men really should be worn with this blazer and it's creatively high end design.